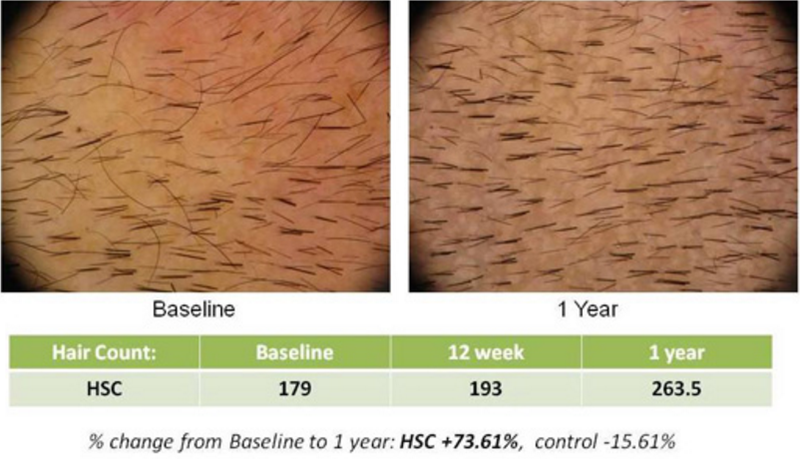 This is not a scientific comparison by any means but I thought it would be interesting to compare the photo results of 3 stem cell or cell based hair treatments that are presently in the pipelines. These photos are available to the public and can be found on the respective company/clinic’s website. Who do you think has the most encouraging trial results based on these photos? I voted for Cole but if it was indeed an alopecia areata trial patient, then I will take my vote back. I don’t see any improvement in replicel picture. In fact, it looks worse than before. We should not compare HT with cell based treatments. We should not compare HT with cell based treatments. I don’t see any improvement in replicel picture. I too am underwhelmed by Replicel’s photo. I voted for Histogen. Dr. Cole’s photo, unfortunately, leaves too many questions. 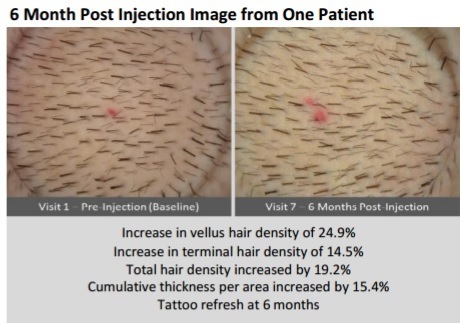 Until he has a patient that makes it possible for him to show close-up before/after photos on a semi-shaved head with a tattoo mark, I don’t see how we can judge his results. Replicel looks mediocre at best. Cole’s pic looks too good to be true, I need to see more documentation to be convinced. I voted for Histogen. No brainer. Thanks for the video, too technical for me to understand it all but thanks for confirming that it was a female alopecia areata patient before/after photo.